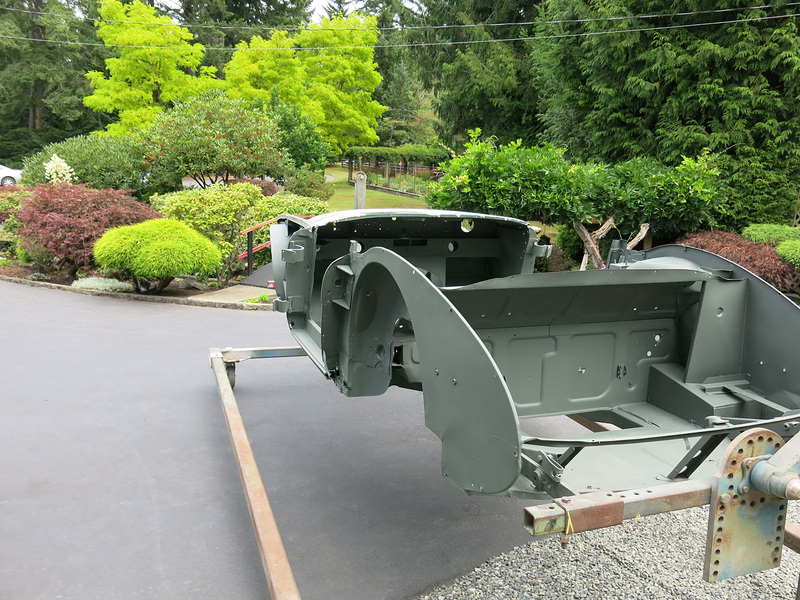 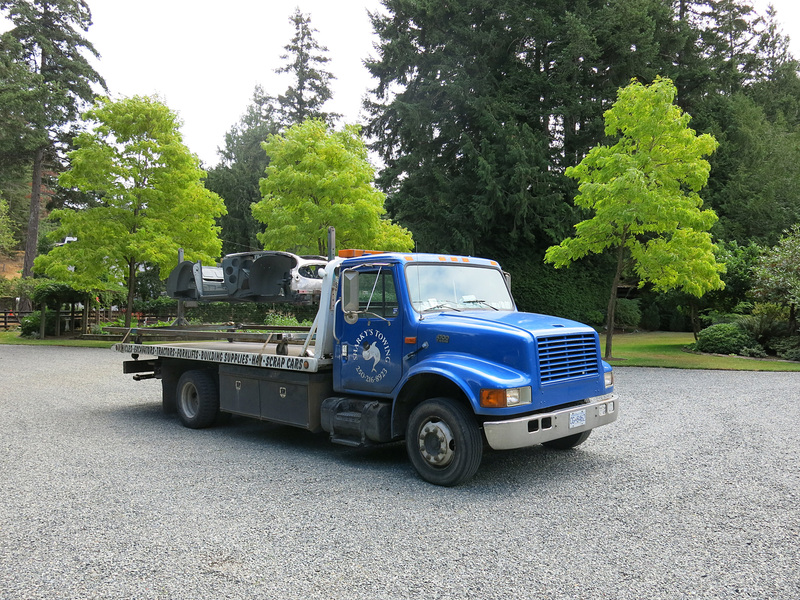 Following advice from Earl Kagna we started with the doors on our BJ8 restoration which led to the removal of the dash pad, front window and fenders. 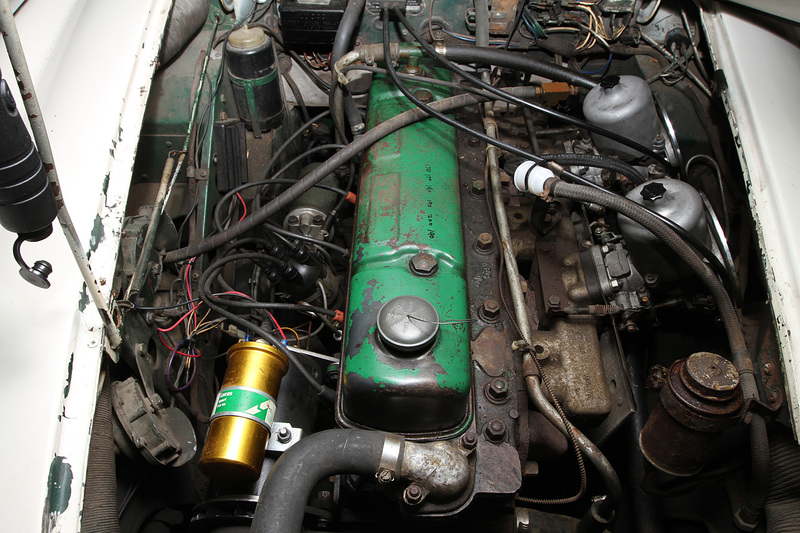 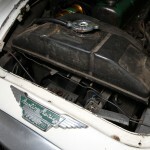 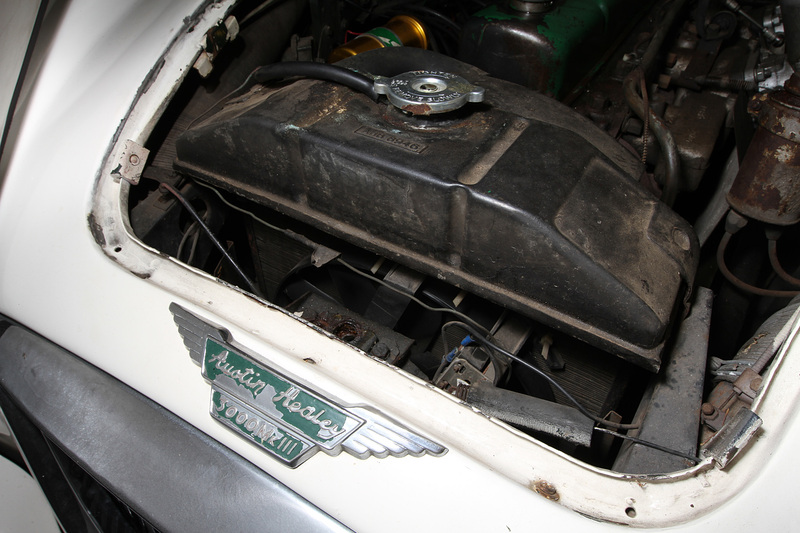 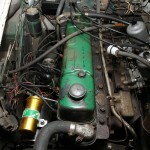 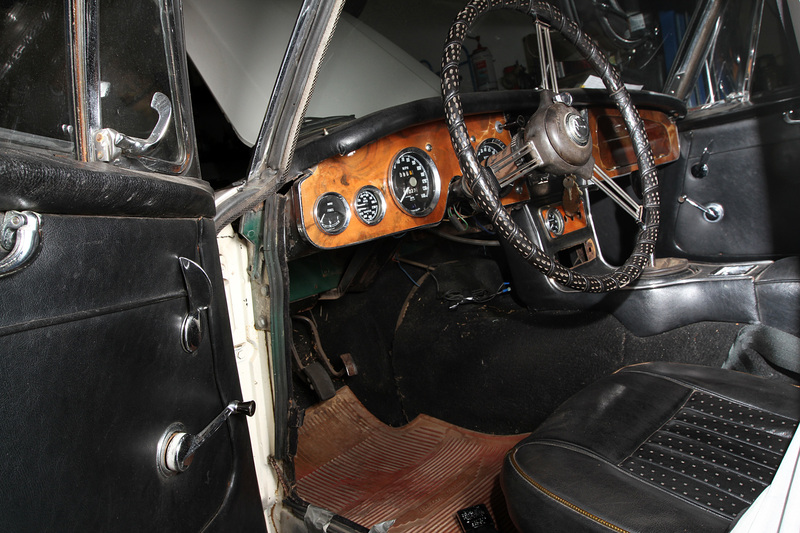 This alone yielded numerous surprises including a sample of the original British Racing Green under the dash pad. 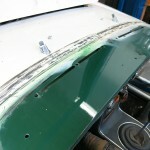 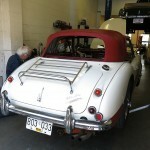 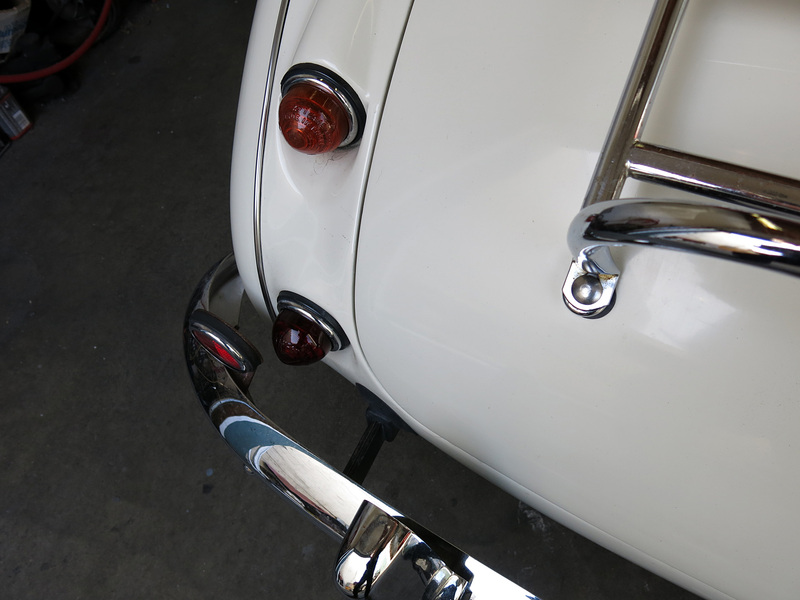 Furthermore the car was very straight with all the inner fenders nicely intact. 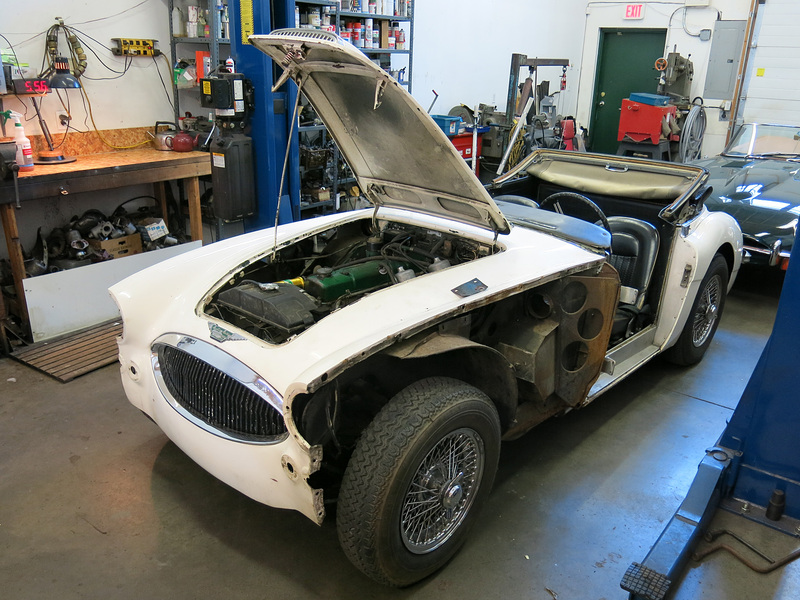 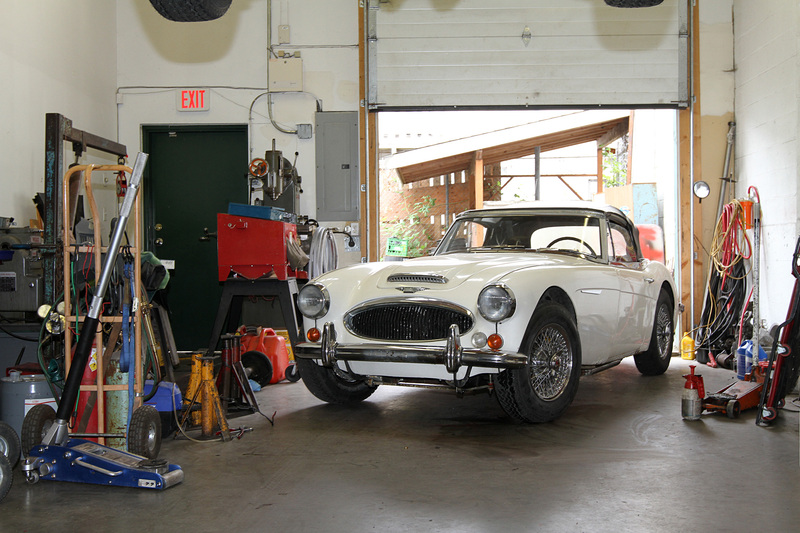 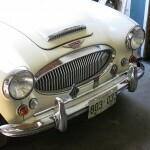 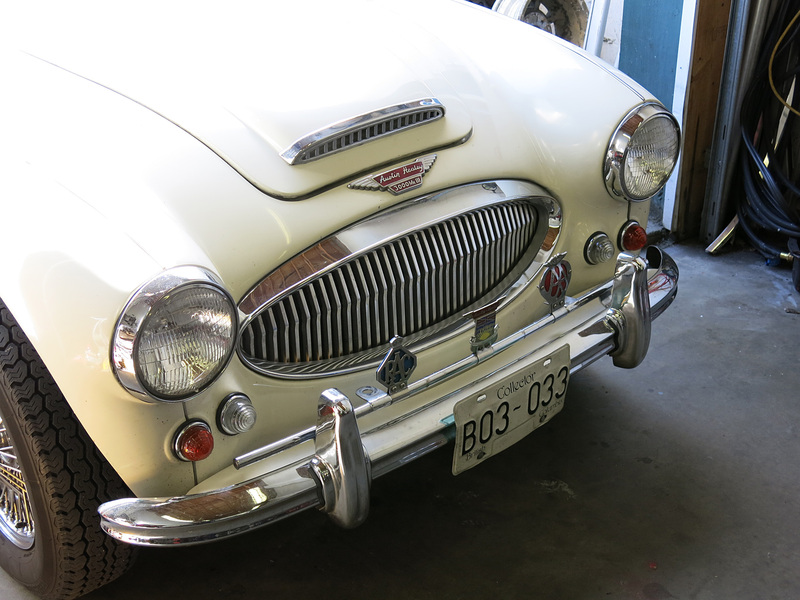 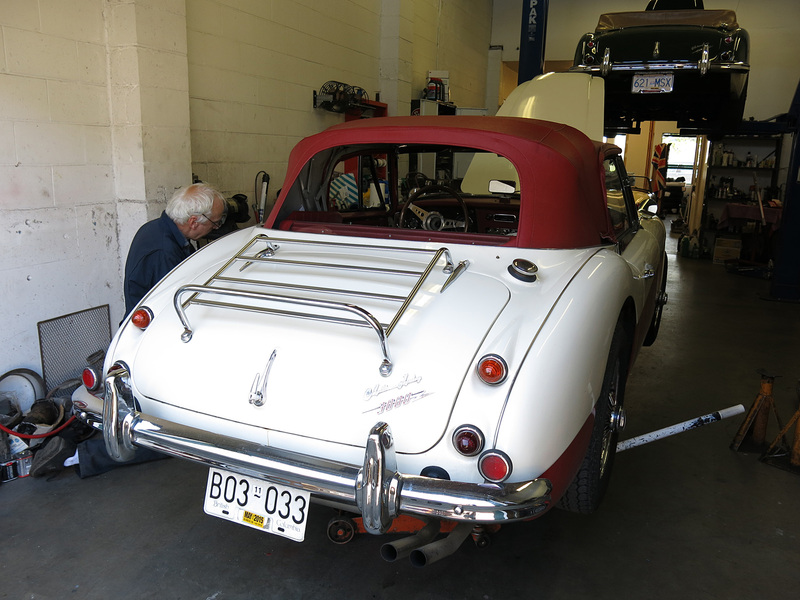 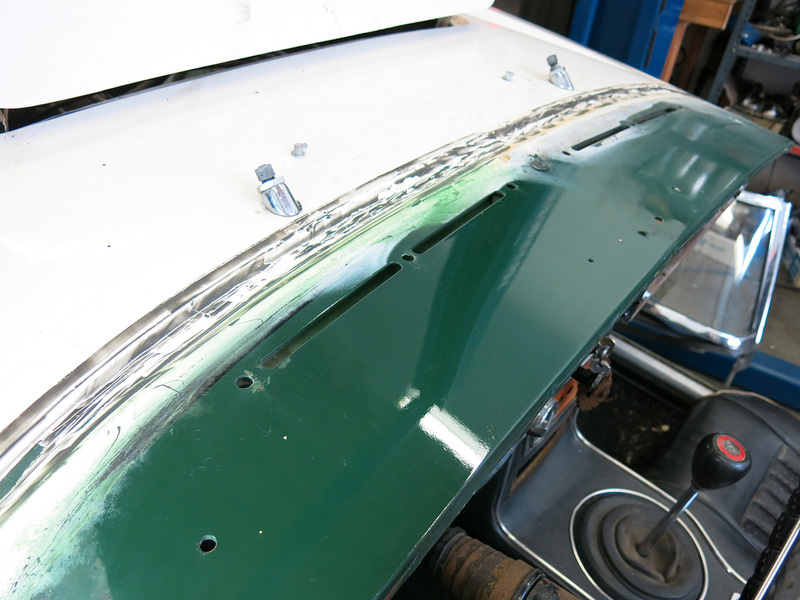 Typical for this model, we were forced to immediately call Austin Healey AutoFarm Canada and order the inner, intermediate and outer sill pieces which will correct this car back to 100%. 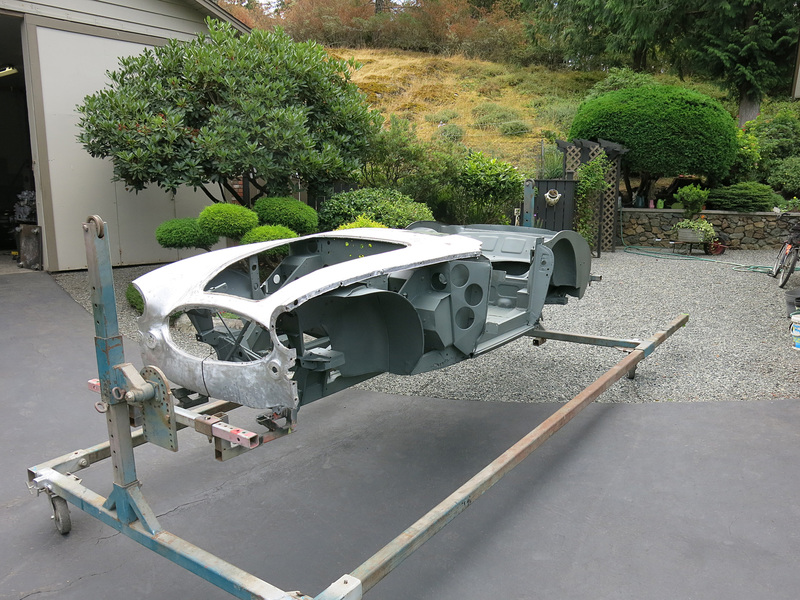 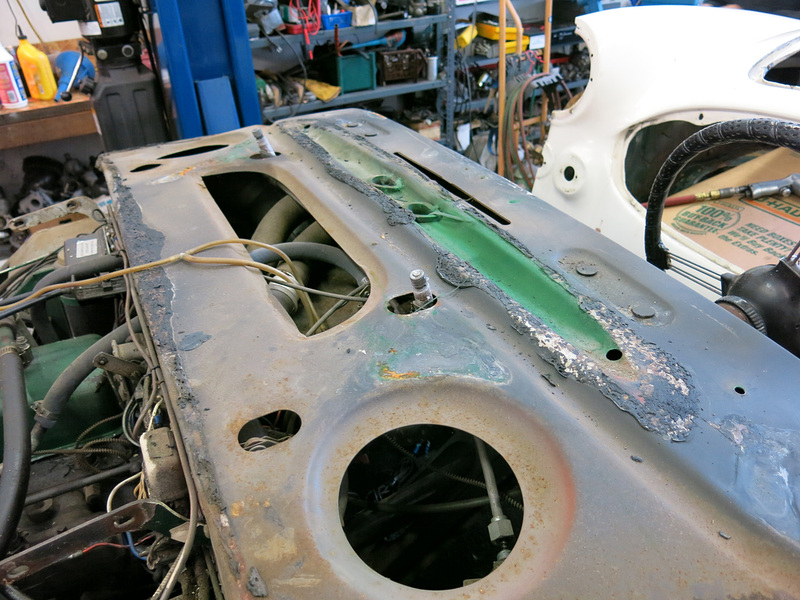 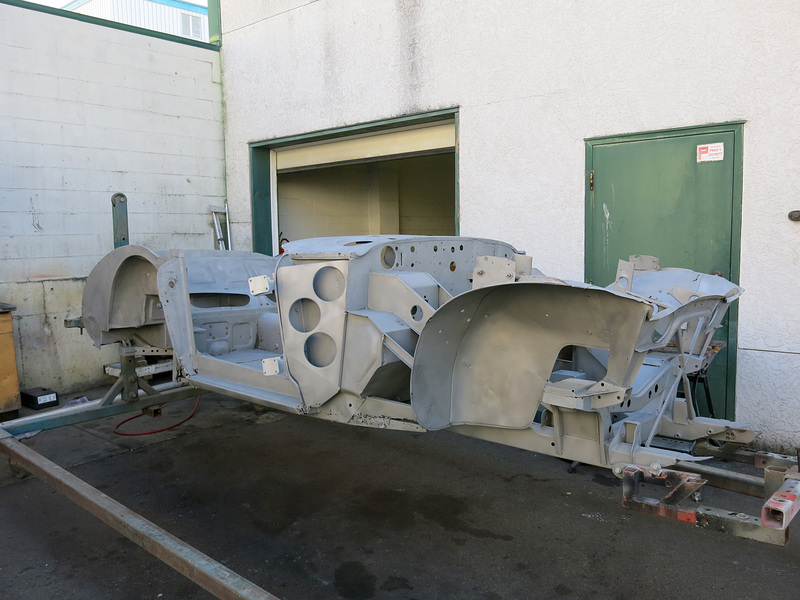 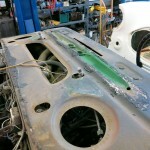 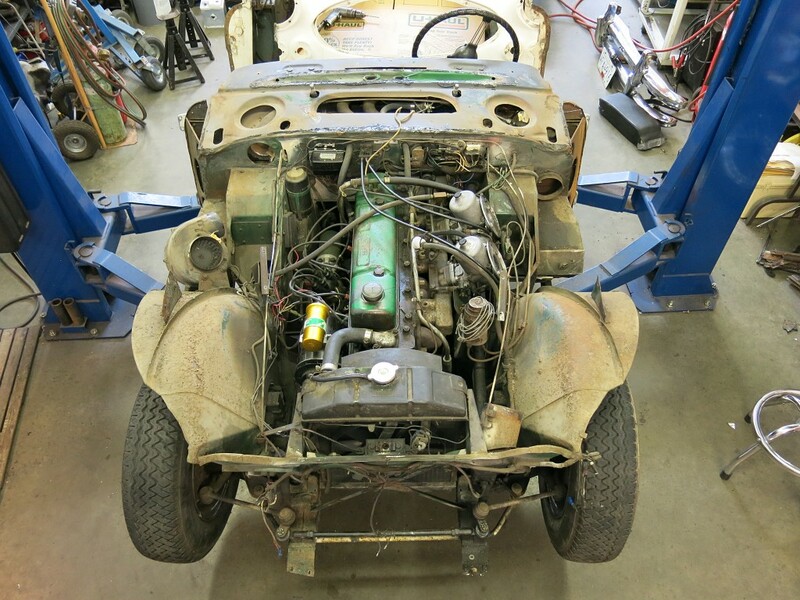 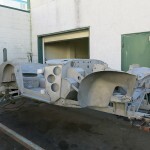 With all the fenders off we carefully pried the center aluminum shroud off the car, eventually defeating the mastic plant resin to reveal the engine and chassis superstructure in one fell swoop. 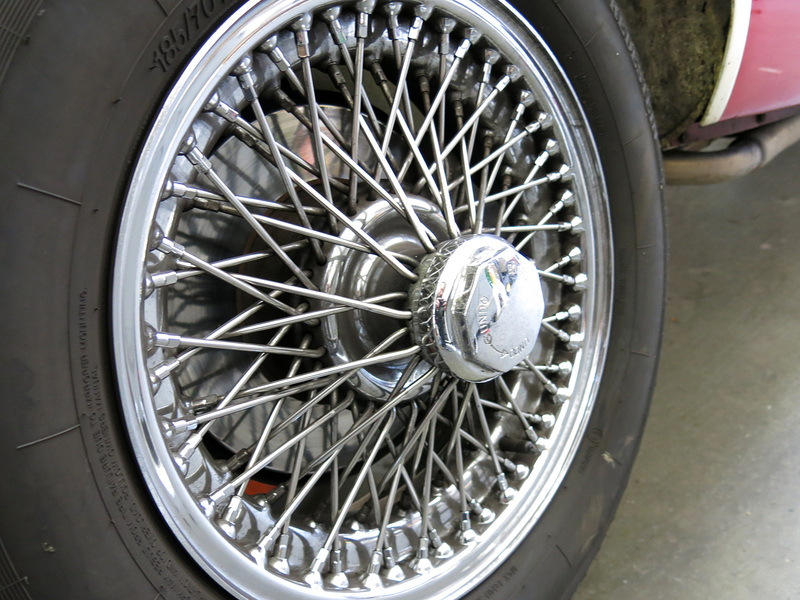 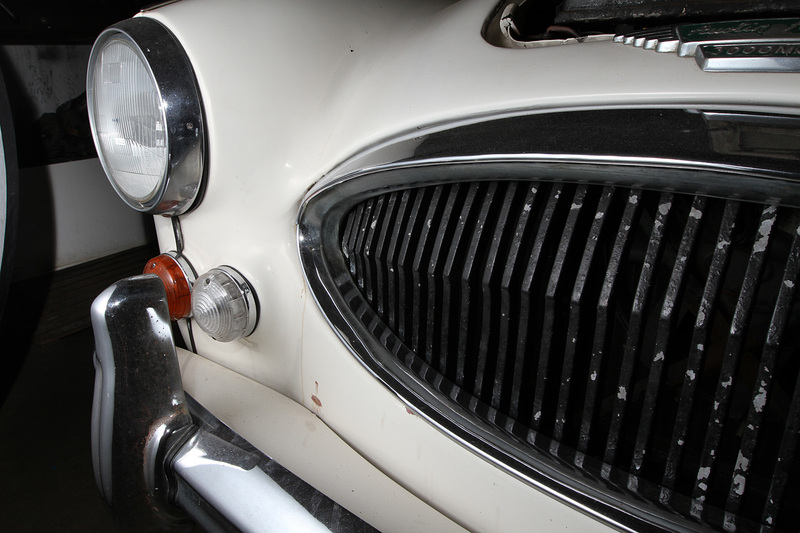 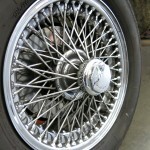 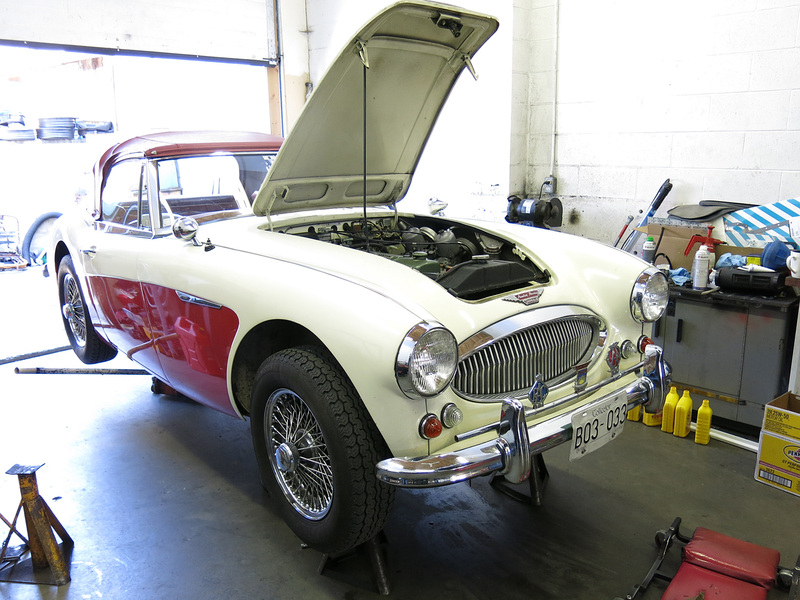 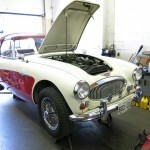 Today we can announce our latest restoration will be this lovely 1967 Austin Healey BJ8 which has been driven and loved by the same owner for 34 years! 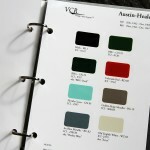 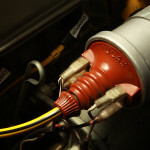 The time has come to renew most the systems so the owner can continue to use it rain or shine with no worry. 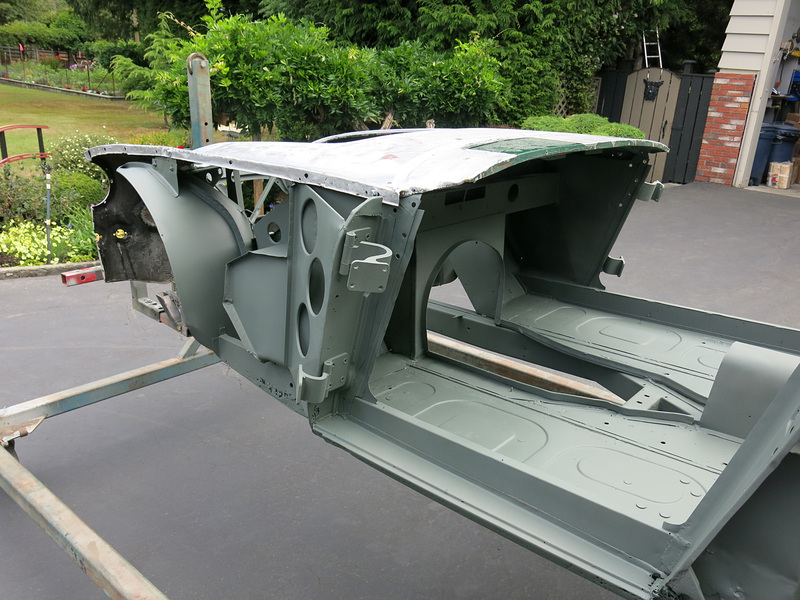 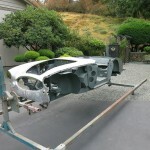 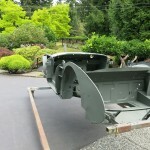 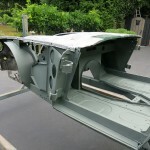 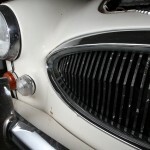 The car has a striking patina, and original pieces under the newer coats of paint it has had over the years. 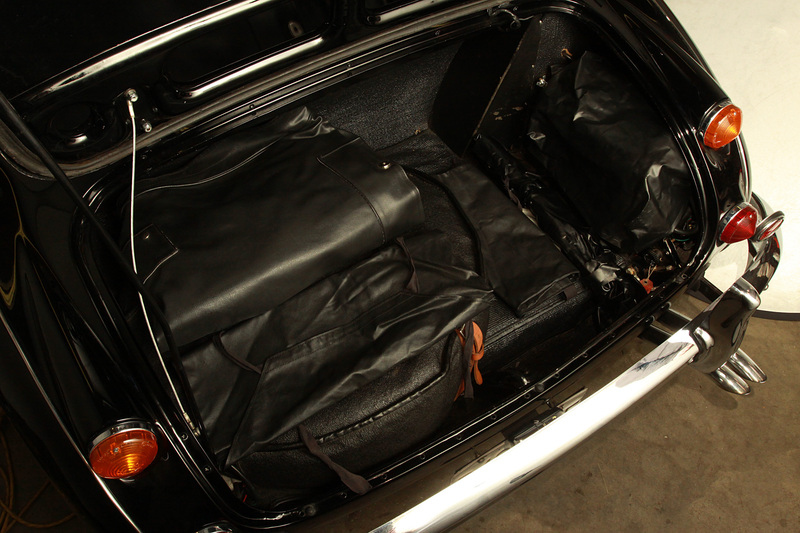 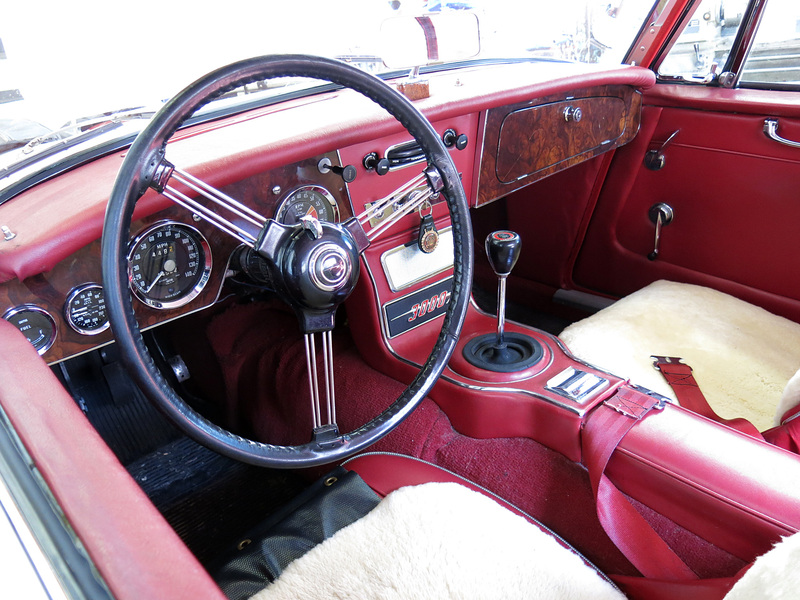 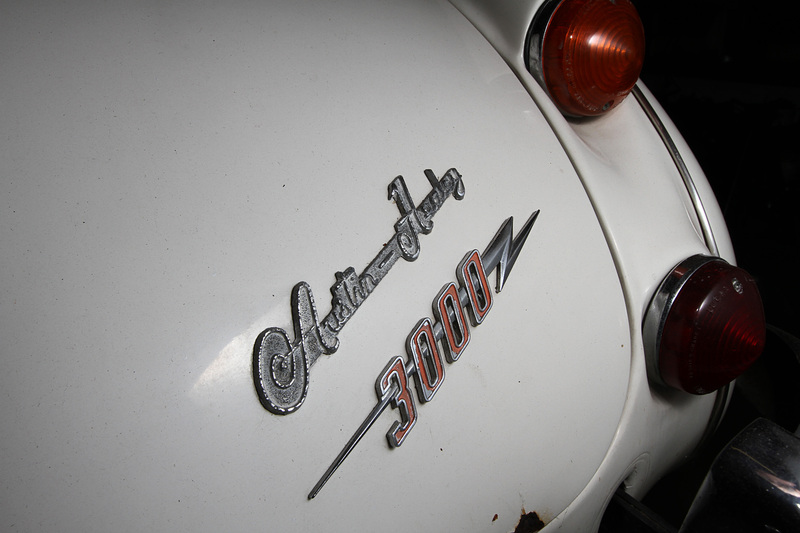 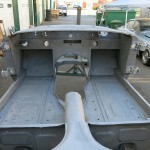 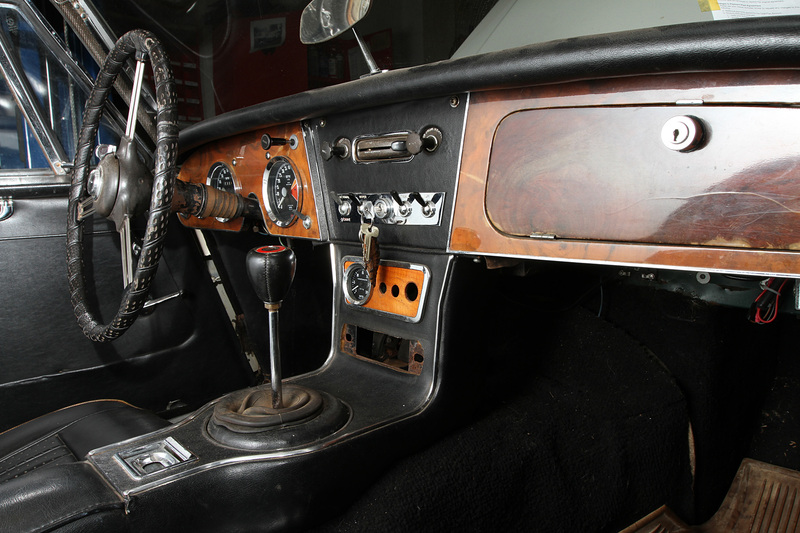 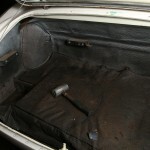 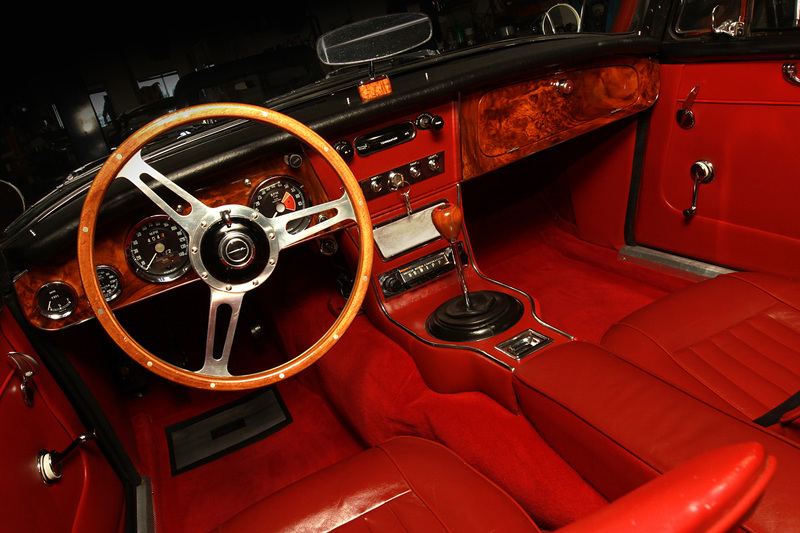 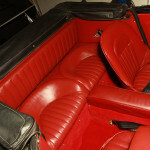 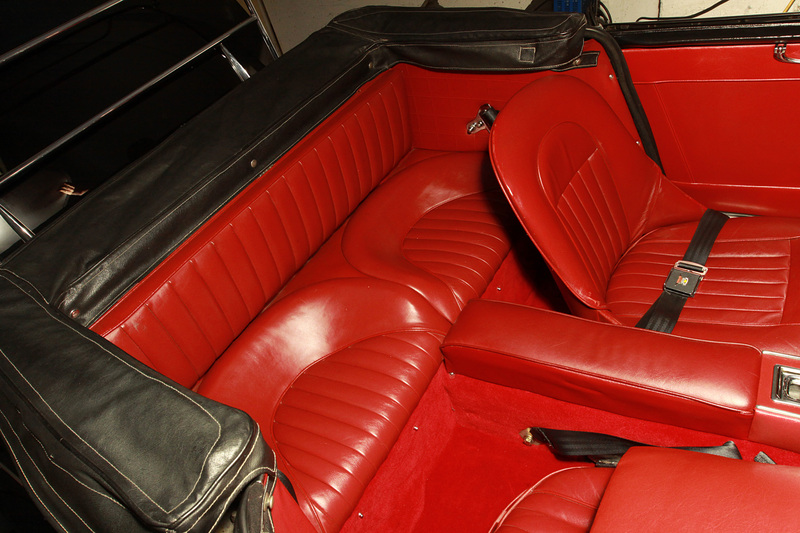 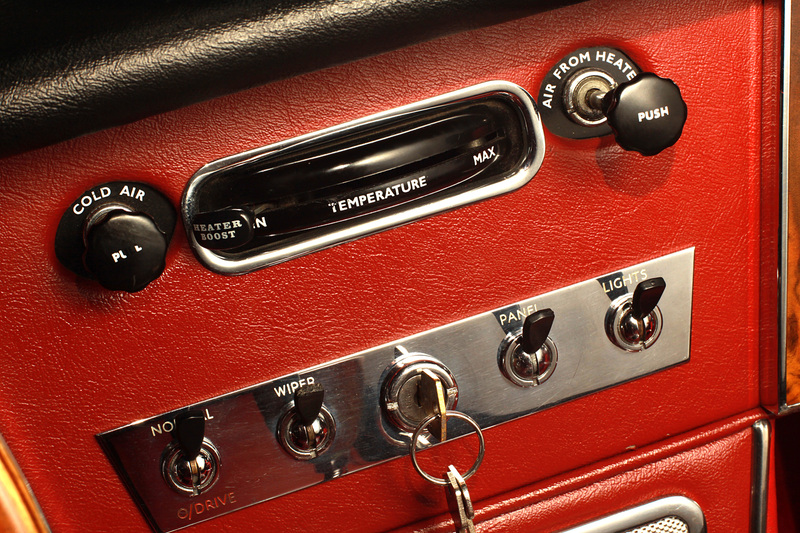 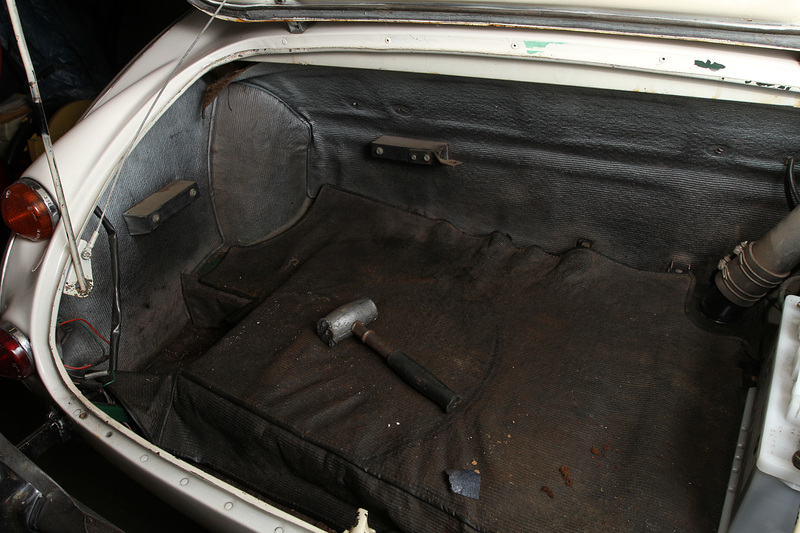 The original interior and trunk upholstery wasn’t spared from a coat of white or two. 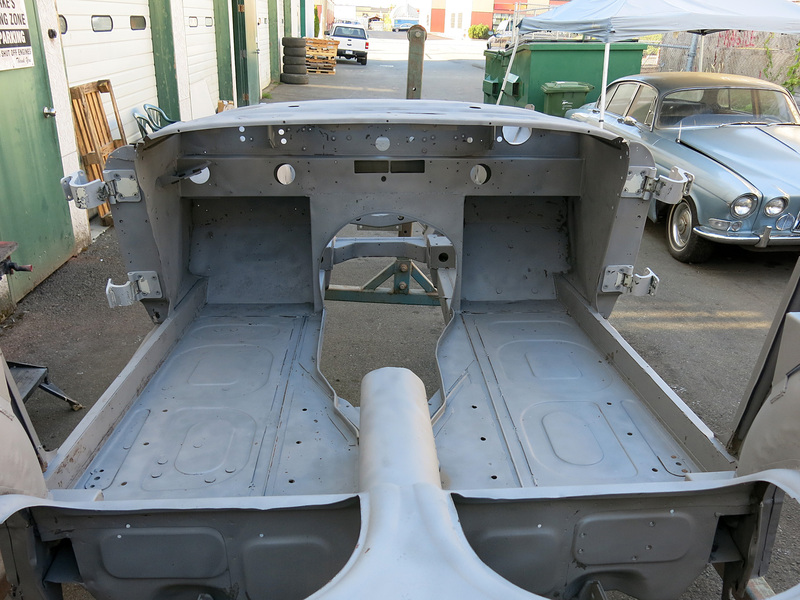 Earl Kagna has instructed us to strip the doors, remove the doors, then the windscreen so we can remove the front fenders and see what we are up against. 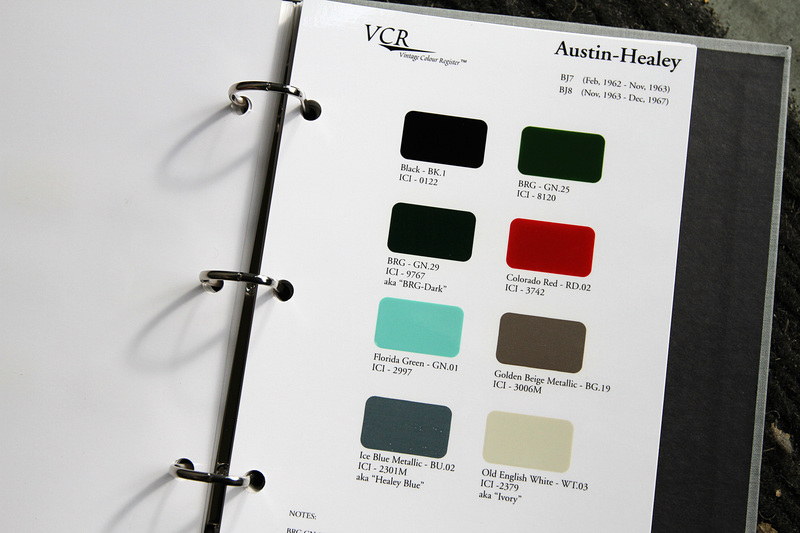 It’s just too much fun to check out the Vintage Colour Register book by Donald Pikovnik beforehand and imagine the possibilities! 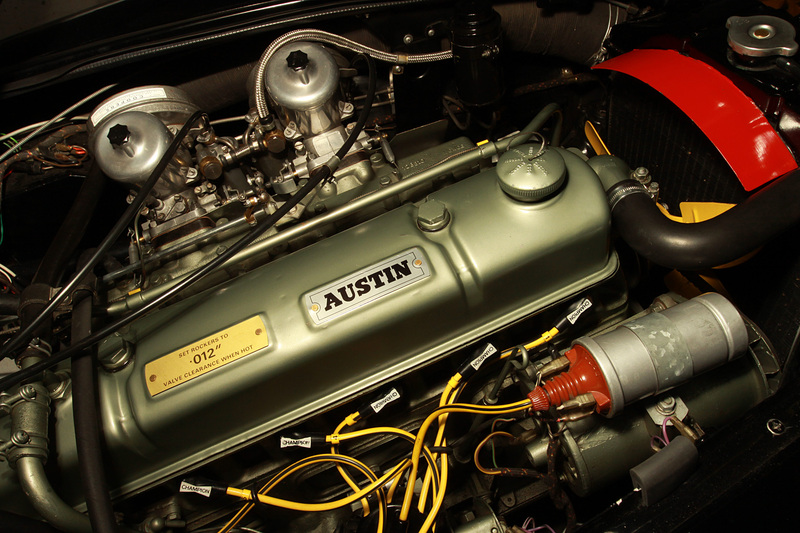 We have had quite a few BJ8 Austin Healeys in the shop, but this on is distinctly different as it was delivered new to Germany. 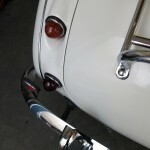 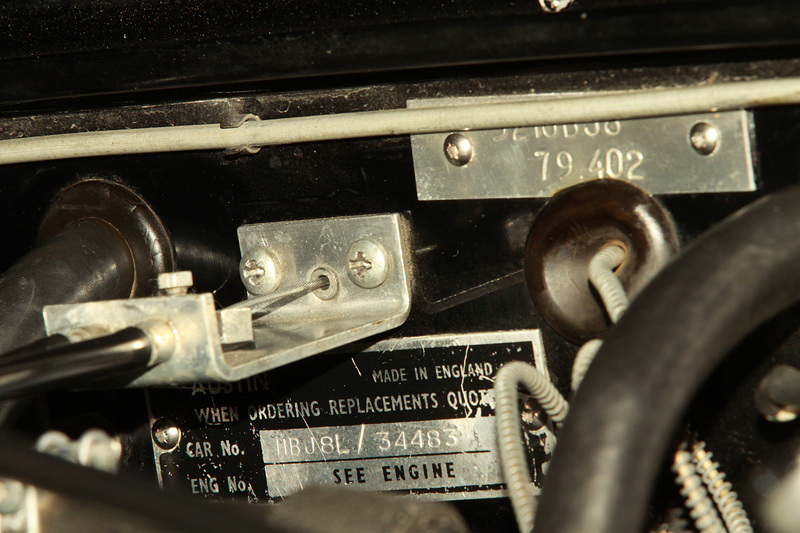 It has numerous detail differences, the most notable being small behive signal lights where the North American federalized cars got the large plastic lights. 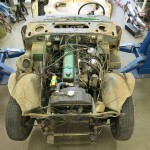 This is possible with BJ7 fenders and a completely different front shroud with small light beds that would be very difficult to replace. 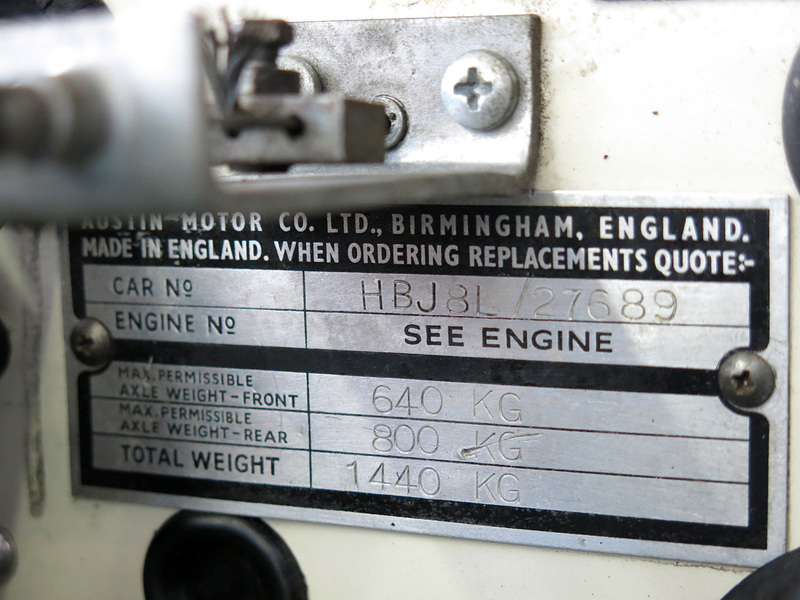 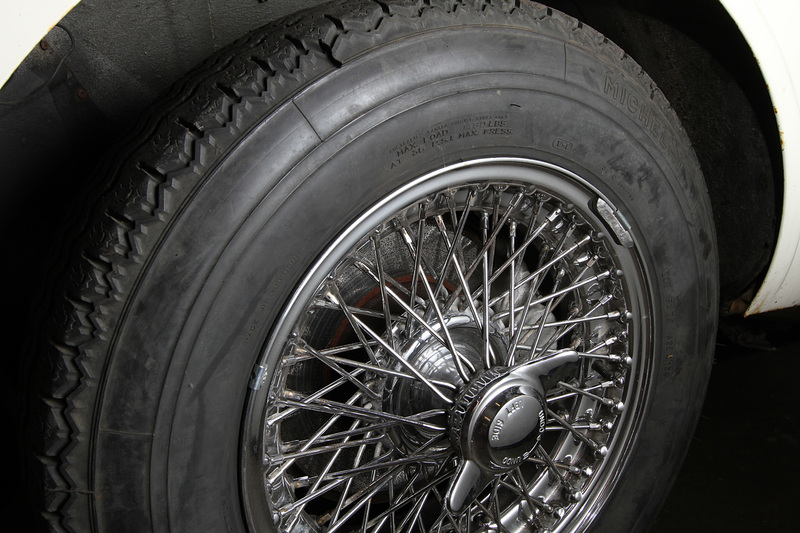 Other detail differences include rear BJ7 fenders with behives where the reflectors normally are, fitted steering lock, hexagonal wheel nuts and a slightly revised chassis tag that lists the weights. 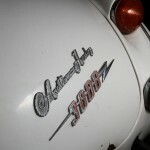 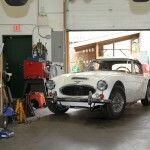 -One of the nicest and well-sorted Healeys to come into the shop. 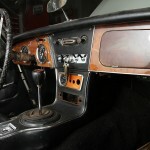 -Desirable BJ8 features such as a curved windshield, windup windows and extra ground clearance. 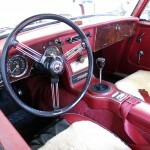 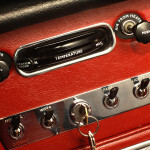 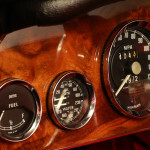 -Gorgeous wooden dashboard amidst a vibrant red interior. 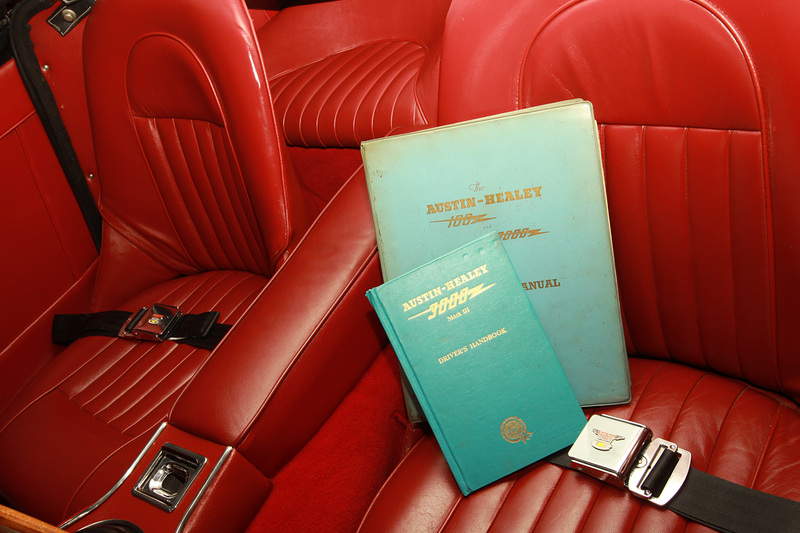 -Comes with a nice original copy of the driver’s handbook and work shop manual. 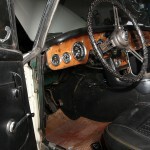 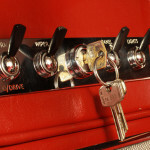 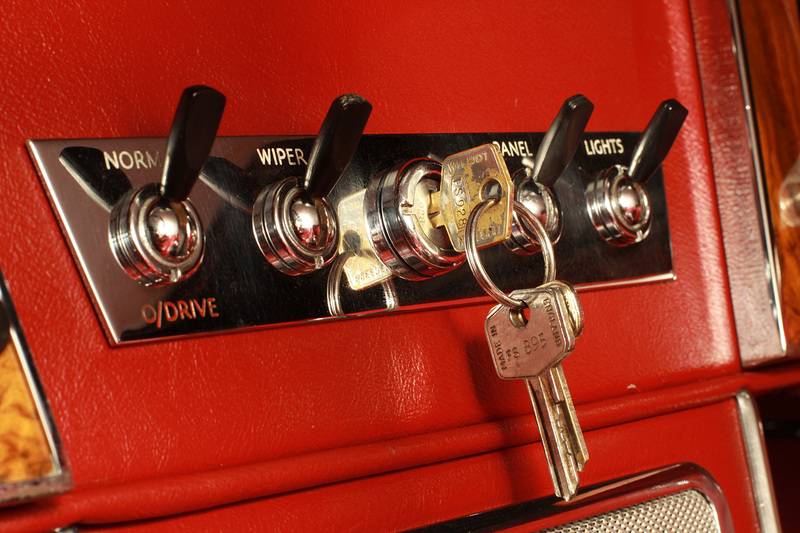 -Retains original keys from new! 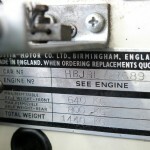 -Sold as is, with all defects and no warranties. 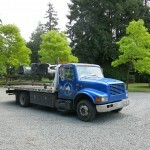 Contact Richard Owen at 250 891 7475 daytime. 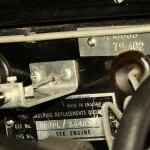 Toggle Swtiched with original Wilmot Breedon ignition key. 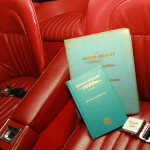 Driver’s Handbook and Workshop Manual. 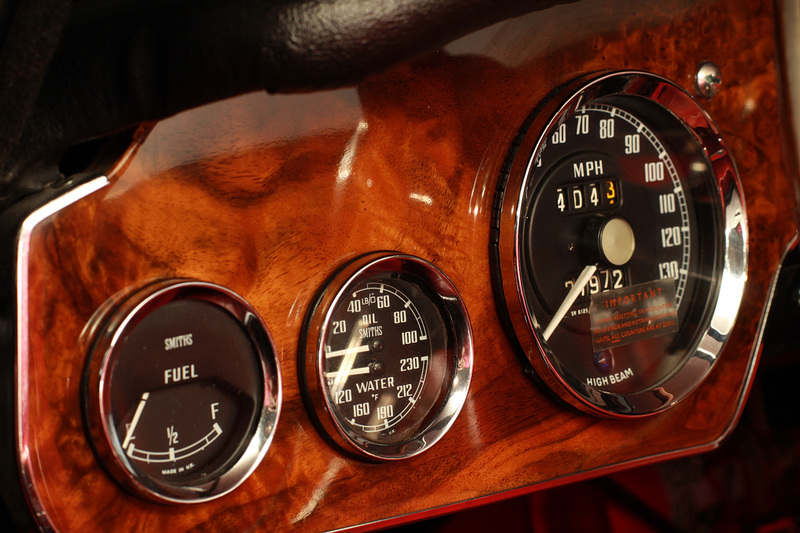 Fuel Gauge, Dual Oil & Water Gauge & Tachometer. 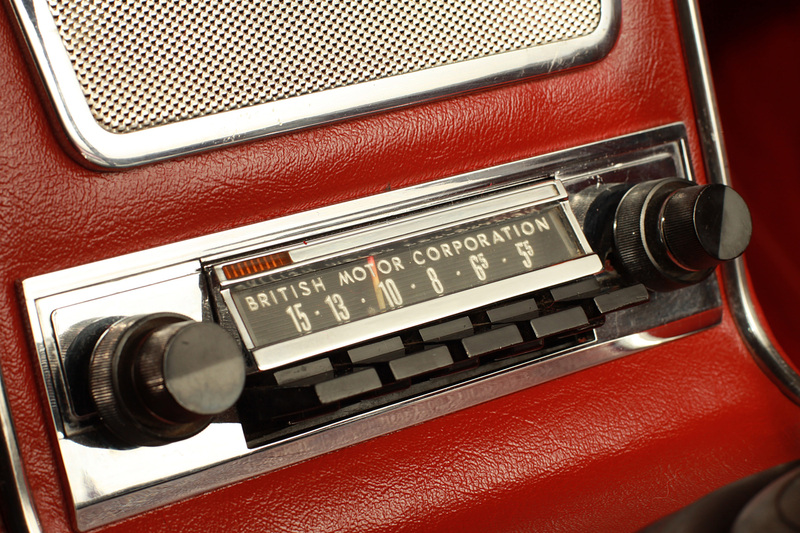 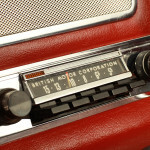 Rare British Motor Corporation Radio. 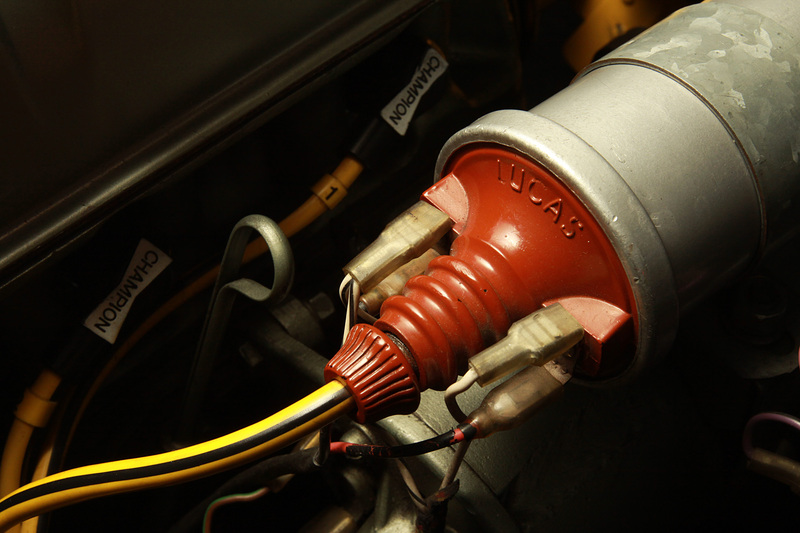 Rare lucas sport coil with button. 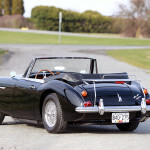 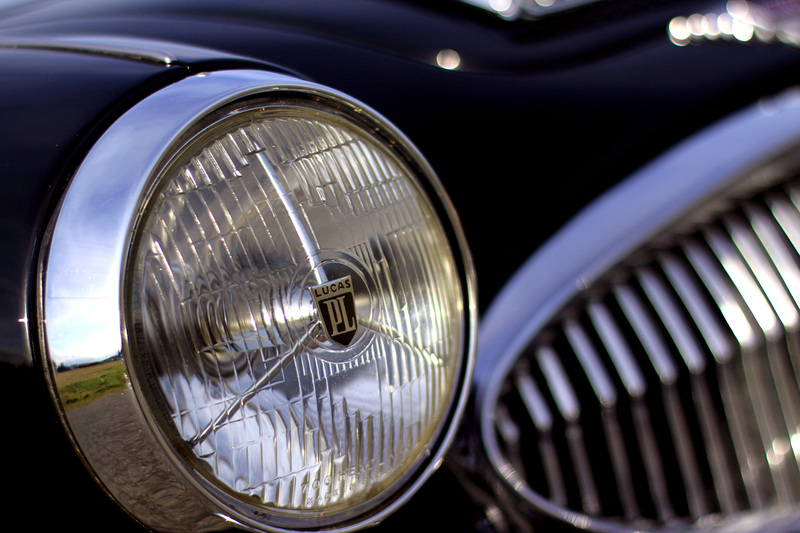 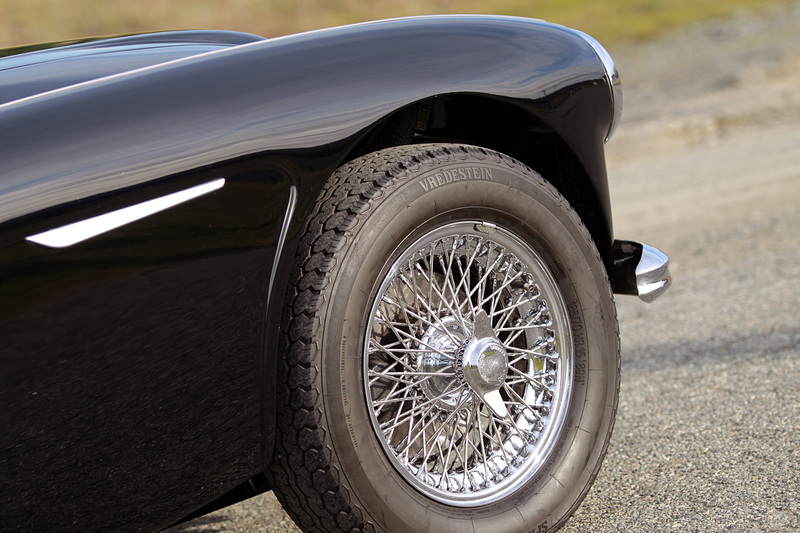 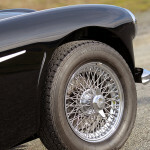 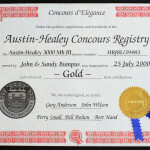 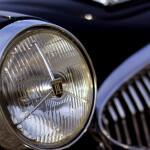 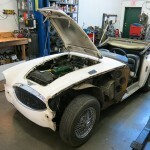 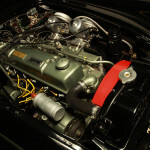 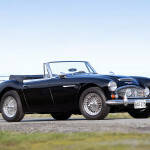 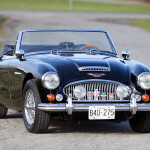 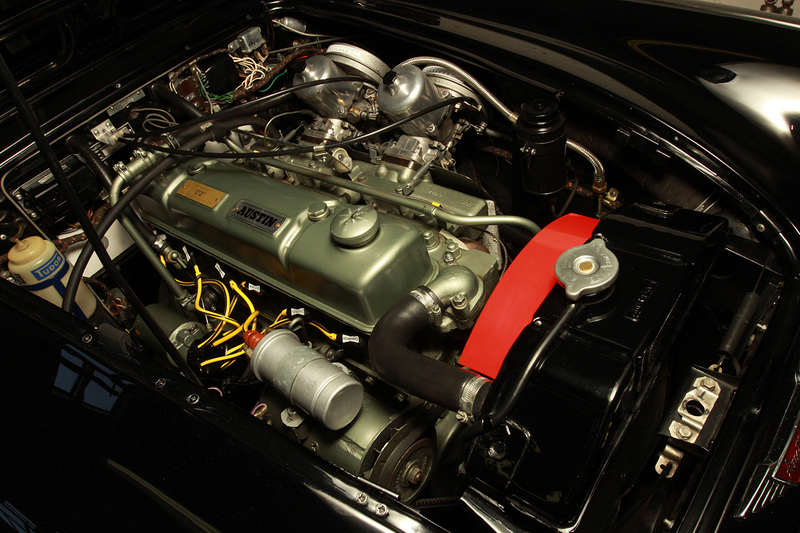 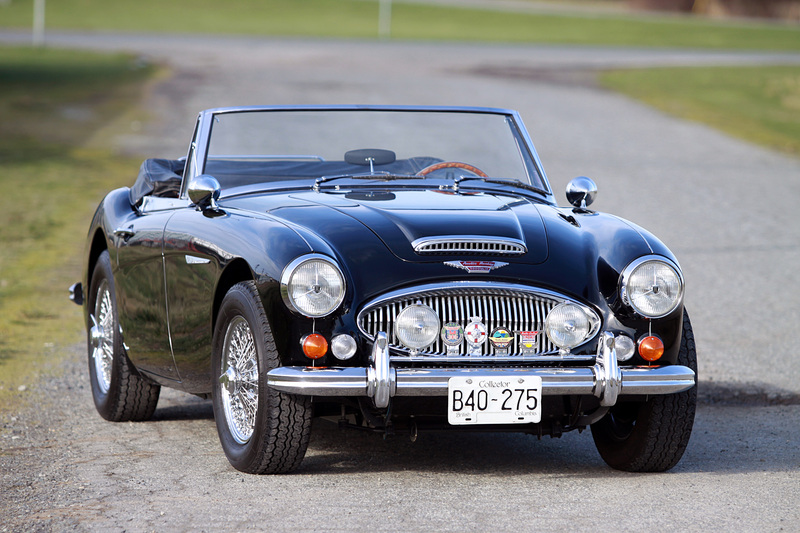 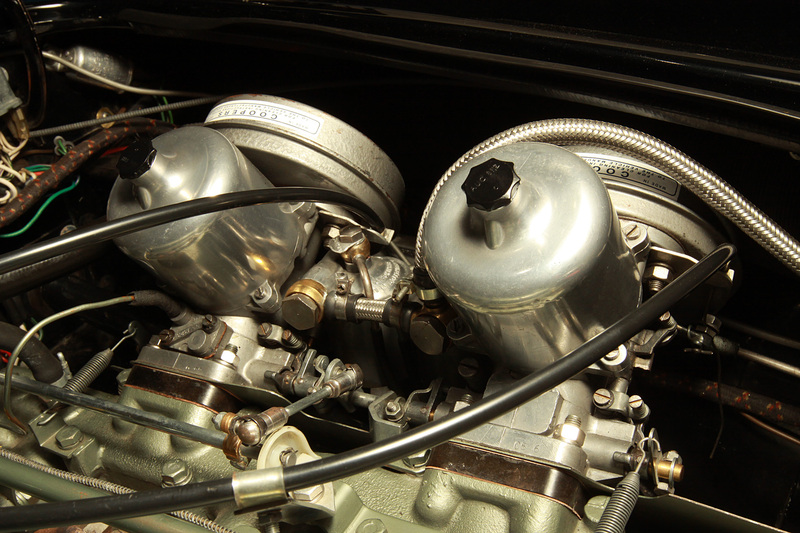 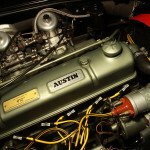 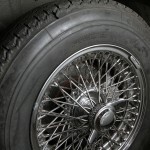 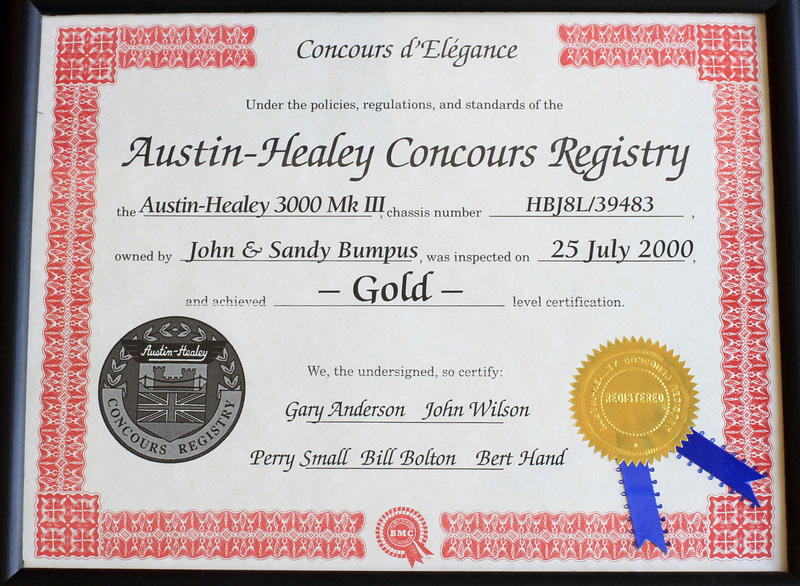 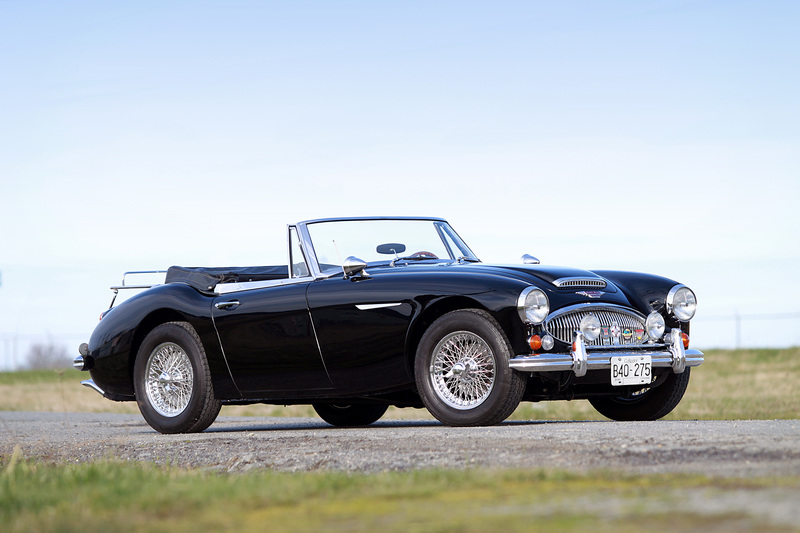 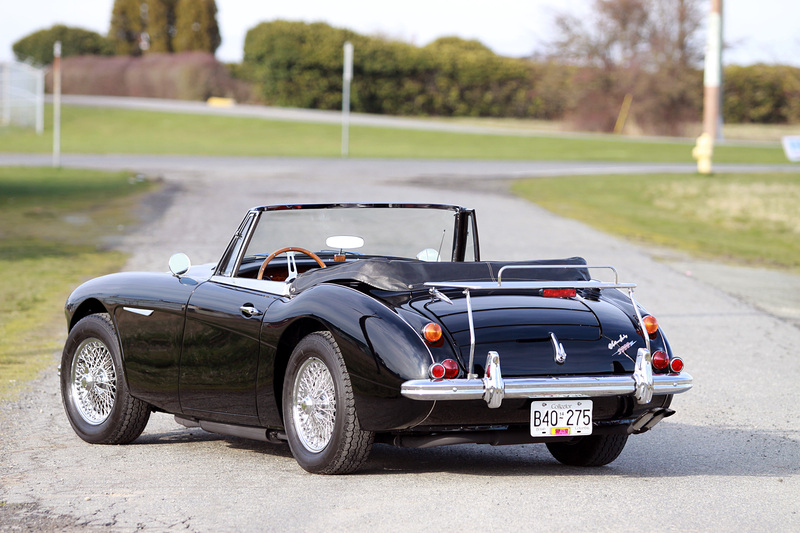 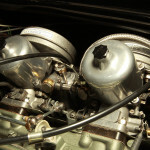 Gold Certification from the Austin-Healey Concours Registry.